Asia is a rising trendsetter when it comes to fashion and style. You probably want your child in one of those amazing outfits online but you just can’t begin shopping when Asian sizing is so confusing. 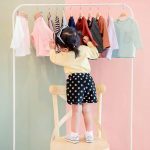 Worry no more, in this guide we will provide you with an Asian Kids Sizes Chart overview and some simple guidelines for children’s clothing. After reading this, you’ll surely be shopping in no time! 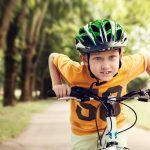 How to read Asian children’s clothing size conversion charts? What size is 160 in children’s clothes? What size is 160 cm? What size is 150 in children’s clothes? Kids’ clothing sizes in the USA and Europe are different from Asian countries – and there is not a unified “Asian” sizing scale. Asian sizes are measured in centimeters, but larger sizes may not be available. Asian countries do not have official sizing guidelines, that’s why sizes vary from different manufacturers. The conversion charts we are providing in this article are made accurate as possible. The tables should only serve as an indication or guide. The best way to find the best fit for your child is to take accurate measurements of his (1) chest, (2) waist, (3) hip, and more. Record these measurements in inches and centimeters and then use our Asian Children Size Chart below for an easy comparison between international sizing standards. The best way is to measure your child properly and then compare it with the respective Asian Children Size Chart below. Keep in mind that these are general sizes and each manufacturer tends to have a slight difference in their sizing standards. Also, some larger sizes might not be available in Asian sizes. Other clothing sizes for kids you can find here. FACT: Asian sizes are measured by centimeters, just like in European sizes for kids, which differs from the usage of inches in US/UK sizes. They key to finding the best fit is by being accurate. Make sure to take your child’s measurements so that you can easily compare them to different brand size charts. With your pen, paper and tape measure ready, take the following measurements. Have your child stand up straight, with feet close together. Chest – With your child’s arms relaxed, measure around the fullest part of the chest. Waist – Wrap the tape measure around the smallest part of the waist. Keep the tape slightly loose to allow for some breathing room. Hips – Measure at the fullest part of the hips. TIP: It is better to measure over bare skin or skin-tight clothes for more accuracy. #1. Take note of sizing. This can never be emphasized enough. Taking a little time and effort to be mindful of sizing is key to smart shopping. In this case, it is even more important as Asian sizes tend to run smaller than US sizes. It is safe to assume that a size medium in Asian size is actually a size small by US standards. Keep this in mind when buying clothes for your child, who is still growing. #2. Sizes vary from shop to shop so make sure to check their individual size guides. Especially when shopping online, you should check if a particular brand has its own size charts. Measurements and sizing standards may vary to suit every manufacturer, so don’t just rely on general sizes. #3. Figure out your child’s US size for easier comparison. As a general rule, you’ll have to determine your kid’s US size as this is the one frequently used by many international brands. Once you have this, everything else will just be an easy comparison to various international sizing standards. Children’s sizes in Japan are usually labelled by the height of the child in centimeters (cm). A size 60 for example would be a child that is 60cm tall or up to 3 months in age, a size 70 is an infant up to 6 months, size 80 is up to one year old and size 90 is usually for kids up to two years. It is still necessary though to measure your child depending on the height, weight, and chest size. Children’s clothing in Korea is sized much differently than the way it is measured in the US. For infants for example, sizing chart begins at size 50, which is for a child the age of 0 to 3 months. Sizes increase in intervals of 10. Size 60 is for ages 3 to 6 months; 70 is for ages 6 to 9 months; 80 is for ages 9 to 12 months; 90 is for ages 12 to 18 months, and 100 is for ages 18 to 24 months. For toddler clothing in Korean sizes, the sizes continue in the same way infant sizes with increases, through 10s. The easier way to do it is to estimate that each year, your child’s size will go up by one. Children age 2 to 3 years old has an average size of 100; age between 3 and 4’s average 110; ages 4 to 5 use size 120; ages 5 to 6 average size 130; 6 to 7 take a 140; 7 to 8 wear a 150 and 8 to 10 average size 160. The clothes sizing system in China can be quite confusing. They use a variety of systems depending on the item, as well as whether the clothing is intended for domestic use or export. The sizes of children’s clothes are usually labelled XXS, XS, S, M, L, XL, XXL, etc but there are also companies that label the children’s sizes by year, like 1Y, 2Y, 3Y, 4Y, etc; and also by height (with cm or without it), like 80cm, 90cm, 100cm, 110cm; and others also go with numbers like 1, 2, 3, 4, etc. Chinese sizes also run smaller than counterparts. A Chinese “large” for example is typically smaller than an American small. For Americans, add 2 to 3 sizes up for the adjusted size. Vietnam is a booming textile hub in Asia, and although many international brands have manufacturing factories there, it is hard to determine what measurement locals use for their kids clothing. Note that the Vietnamese people, even kids in general are tiny. Their clothing markets seem to be mainly for locals so it is best to try on the clothes before buying, but if you have to buy online, always opt for the bigger size. Malaysia uses age as main guide for kids size. But your child’s height (in centimeters) is also important to know exactly which size to buy from a Malaysian brand or if you need a smaller size or one size up. The standard size chart for Indian apparel is mostly based on the length of the skirt/pants. Sizes still varies by style and company. Please make sure to order appropriate size based on your child’s measurement and if uncertain, it may be better to order one size up. Children’s shoe sizes vary greatly by country. The US and UK sizes for kids shoes are off from one another by a half-size and Europe and Japan use an entirely different system to measure shoe sizes. Keep in mind that if you have children who are almost fully grown, the children’s shoe sizes only go up to 13, just a half size before entering adult shoe sizing of 1 to 2. Use the charts below as guide to convert US, UK kids shoes to Asian sizes. Shoe sizes are also sized differently depending on the place of manufacturing. In terms of children’s shoes from China, they are labelled in numbers, although some styles carry a different sizing metrics. A US 4C for example is a 22 in China, a 10C is a 25.5, and a 13 is a 30. You may refer to online charts to convert Chinese shoe size to US shoe size. Take note of the sizing. This can never be emphasized enough. Taking a little time and effort to be mindful of sizing is key to smart shopping. In this case, it is even more important as Asian sizes tend to run smaller than US sizes. It is safe to assume that a size medium in Asian size is actually a size smaller compared to the US standards. Keep this in mind when buying clothes for your child, while considering that your child is still growing. Sizes vary from shop to shop so make sure to check their individual size guides. Especially when shopping online, you should check if a particular brand has its own size charts. Measurements and sizing standards may vary to suit every manufacturer, so don’t just rely on general sizes. Figure out your child’s US size for easier comparison. As a general rule, you’ll have to determine your kid’s US size as this is the one frequently used by many international brands. Once you have this, everything else will just be an easy comparison to various international sizing standards. 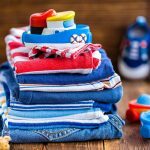 Converting kids clothes sizes from one country to the other always pose a challenge as various places and even individual companies tend to adopt their own internal metrics. A shop in Asia for example tend to use a different sizing guide for children’s clothes compared to the western countries. When you go to the US, UK and Australia, they use the same measurement, but in Europe, they adopt a different type. And even then, China, Japan, and Southeast Asia adopt a different standard. Shoppers often ask different questions from the most basic ones like what size is 160 cm to US or size 160 is for how old. Some would ask kids size in 150, what size is 150 in US or even just keywords as size 150 in US. There are many available resources online providing children’s clothing size conversion chart and many people are increasingly becoming interested in Chinese children’s size conversion chart for clothing too. The main point is sizing differs from place to place so it is important to always find out the metrics used by the shops we’re buying from. In general, the more common children’s clothing size chart used is that of the US, UK, Europe and Australia. The US, UK and Australia children’s sizing is generally based on the child’s age, Europe children’s clothing sizes meanwhile is based on a child’s height in centimeters. A Europe size 160 in US is a size 12-14, which means a size 160 is for children 12-14 years old. European sizing uses centimeters. A Europe size 150 in US is equivalent to an 11 in the American standards. The bust usually measures 69 cm. So to say kids size 150 means converting Europe children’s size to US. You may refer to free size charts online to get know what size is 150 in children’s clothes. 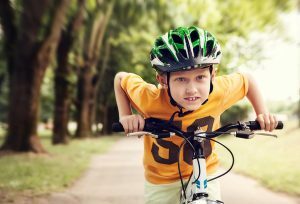 Children’s clothing size conversion chart is usually available online to help shoppers, especially those buying online to easily compare and convert different children’s sizes from one measurement to the other. It is still advisable though to check with the shop the children’s clothing size that they use to make it easier to convert accurately. As manufacturing in China remains one of the highest in the world, more and more people are also looking at Chinese children’s size conversion chart. In general, Asian sizes are usually smaller than the UK or US clothes sizing. Chinese children’s size depends on the clothing article you are buying like blouses and shirts have different sizing compared to pants and dresses. A China 165-170/88-90 for example is a 14-16 for US and a 11-12 in UK. It is also a size 146-152 cm in European sizes. Remember that size conversions available are just standards. It could still vary depending on the company and the country origin of the clothing. As a reminder, remember that there is no universal standard size system placed on clothing. Therefore, we recommend that you make use of this guide and remember the tricks and pieces of information you have learned here. And while we strive to give you the most accurate data, the information provided above is only a general overview. Your job is to do your additional bit by being vigilant about finding the right size for your kid. Now go ahead and start buying some cute Asian-inspired outfits your kid will surely love!